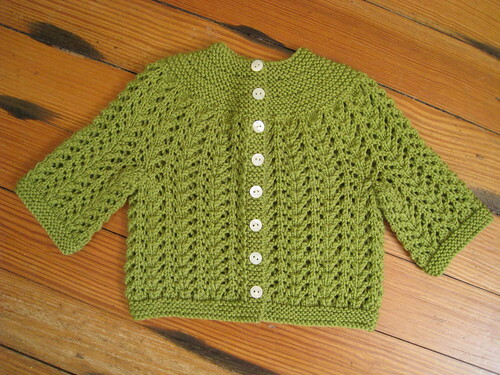 My cousin had a baby and I thought that was the perfect excuse to knit the February Baby Sweater by Elizabeth Zimmerman. Very cute. But the more I looked at it, the more it started to look BIG. Then, and only then, did it dawn on me that my friend google could probably give me some information on what size babies’ chests are. 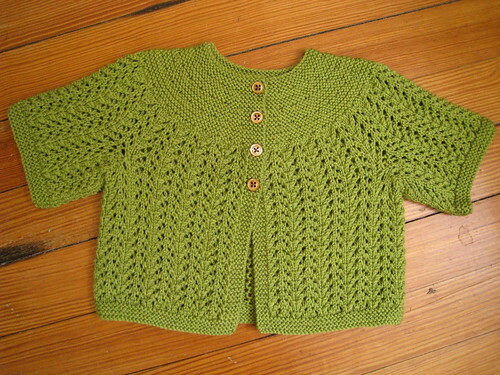 Turns out I’d knit a sweater for a toddler. Feeling more and more like Goldilocks looking for the sweater that is “just right” I decided to nip the thing in the bud before it got out of hand and get both them sweaters down to the post office asap. 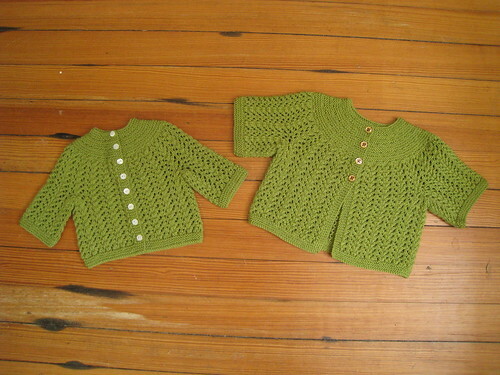 According to the thank you email, I squeaked in by a hair — wee Stella is still able to fit into the little sweater, and there’s the big one to look forward to. This experience has taught me that it’s helpful to have a baby in front of you as evidence of how teenincy a brand new person truly is. Cats cannot be substituted. 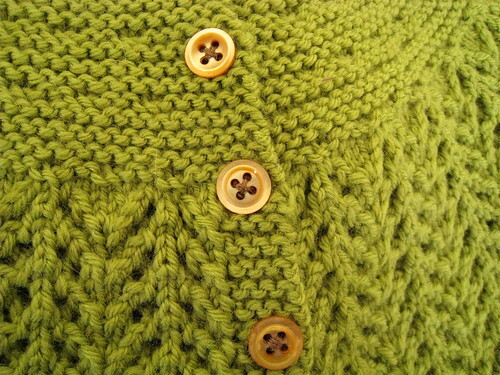 This entry was posted on Friday, May 25th, 2012 at 9:56 am	and is filed under knitting & crochet. You can follow any responses to this entry through the RSS 2.0 feed. You can leave a response, or trackback from your own site. Girrrrrlllll, you are a crazy fast knitter. they are both darling now I want one in my size and I would like it to fall just at my waist, cute with summer dresses so hurry. Precious! I will also require a sweater.